The SEA might be in for a shift in the coming months. The Southeast Asian Dota 2 scene has always turned out a few top-level competitors, but this season has shown that Fnatic might be the only standout. Of the top 10 teams on the GosuGamer’s rankings for Dota 2 teams, Fnatic ranks sixth globally after placing sixth in The Chongqing Major. Along with an eighth place finish at The Kuala Lumpur Major in 2018, they hold the top spot in the SEA region by a solid margin. Their only real competition in the region at the moment is TNC Predator, a team that is currently going through some roster issues of their own. Despite sitting at a strong 10th place in the global rankings, Predator looks to be on the downswing following a disappointing 12th place exit from Chongqing. This placement along with the shifting of several other teams in SEA means that changes were likely coming to the roster. After taking the final portion of 2018 and the start of 2019 off due to the drama surrounding him that resulted in him being banned from attending The Chongqing Major, Carlo ‘Kuku’ Palad returned to Predator’s active roster as the team geared up to compete for entrance into DreamLeague Season 11. But even with Kuku back and the team seemingly at full power for the first time in the new year, they were still eliminated on the first day of the SEA qualifiers for the next Major. Right after the event, Predator announced that Michael ‘ninjaboogie’ Ross would no longer be with the team. The former Mineski player joined the team in late 2018 after another shuffling of rosters in the region. The early elimination from the qualifiers likely pushed plans forward for trying to find a new direction for the roster. We’d also take this chance to announce that we will be participating at the qualifiers for the StarLadder ImbaTV Invitational Season 6 Minor. Our roster will be temporarily filled in by Nico “eyyou” Barcelon. We will provide further updates with the rest of our activities soon. As the team searches for a player to join their roster as a permanent fixture, Nico ‘eyyou’ Barcelon will fill in. 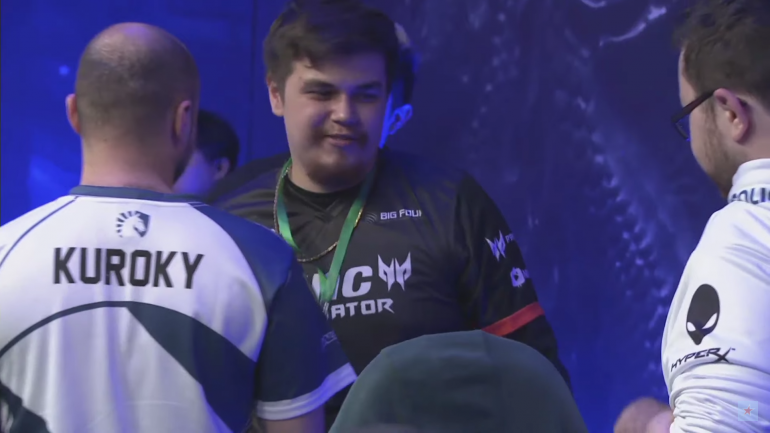 The Lotac player is no stranger to the top-level of SEA competition, having played for Fnatic, Mineski, and TNC before they were rebranded to TNC Predator. During this unsure time for the second-ranked team in the region, the teams behind them aren’t just sitting on their hands. Both Mineski and the former TNC-related team Tigers have made moves in the past month to put themselves in position to contend. At the top of that list sits Mineski who looks posied to take that second spot in the region. Adding Lai “AhJit” Jay Son towards the end of January sparked their team and they performed at an extremely high level in the DreamLeague qualifiers. They managed to take a game off of the eventual winners in Fnatic and claimed the second SEA spot at the next Major. Not only has Mineski improved, but with the addition of two legendary players, Chai “Mushi” Yee Fung and Danil “Dendi” Ishutin, Tigers look like they have a chance to be dangerous too. Though their first outing as a unit ended in disaster—with them failing to even make the closed qualifiers for DreamLeague—the potential is still there. For another chance at making DreamLeague Season 11, Predator will have to fight through another set of open qualifiers and make it into StarLadder ImbaTV Dota 2 Minor.